A sophisticated taste sensation, this recipe blends dense dark chocolate with rock salt and a hint of sour cherry. 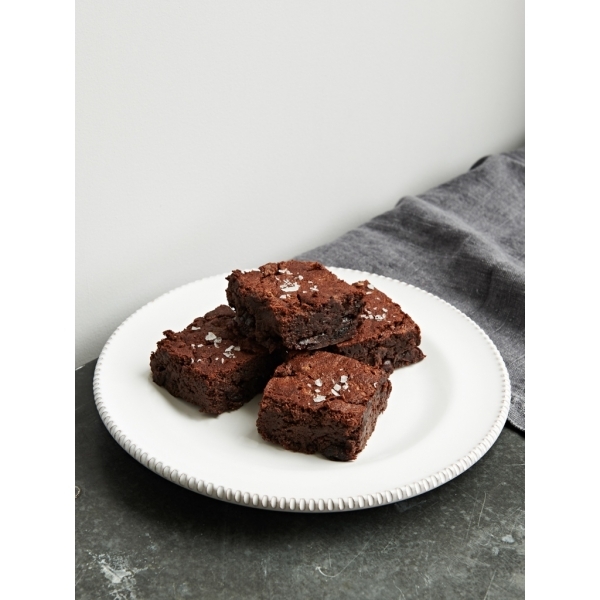 The black beans ensure a rich, moist brownie without the gluten – a much-requested dinner party dessert. We love: Sour cherries because they are bursting with compounds called anthocyanins which are known to work in a similar way to some anti-inflammatories by blocking the activity of certain enzymes that stimulate inflammation. Storage: Place in an airtight container in the fridge and they will last up to 5 days, they also freeze beautifully!